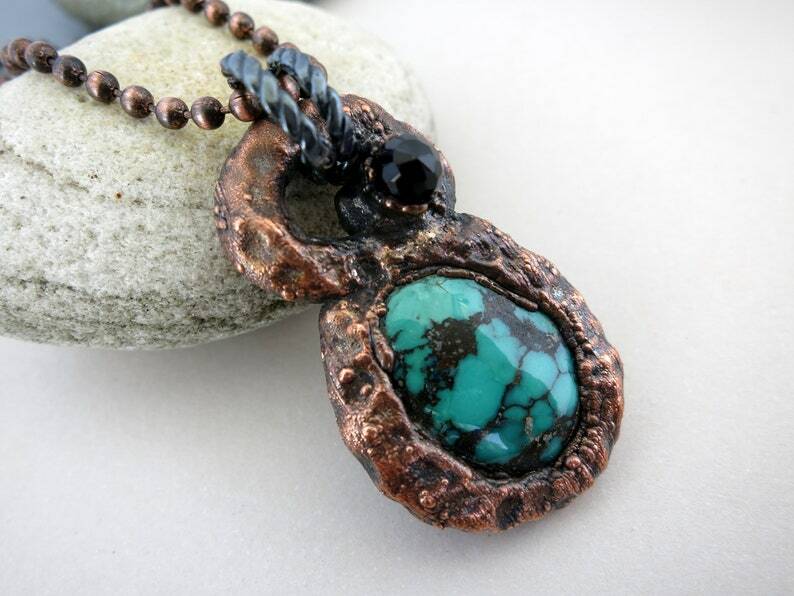 Mined in China, the focal stone is Hubei Turquoise. A faceted dark purple Amethyst is an assymetrical accent. You will receive this exact, one of a kind necklace. Sculpted and electroformed in a process that involves many steps and several days to complete each unique piece.